John, the leader of the band, started playing polka music in 1957, at that time playing the trumpet. He picked up the concertina in 1960 and has been performing both instruments ever since. John was the original trumpet player with the Jolly Brothers Polka Band from 1960 to 1964. During his four years with the "Brothers," John composed and arranged most of the music on the first two albums by the Jolly Brothers: Polka Special and Come Dance With Me. During the summers of 1962 and 1963, the Jolly Brothers along with John, toured the upper midwest with the Golden Voice of Polkas, Marion Lush from the Windy City of Chicago. In a musical career that spans over five decades, John has performed with Lil' Wally, Marion Lush, The Mrozinski Brothers, Lil' Richard, Joe Tomaszewski's Polish Show Band, Bill Czerniaks Polka Soul and countless others. The band plays Polish-American music, specifically, polkas, waltzes, mazurkas and obereks. 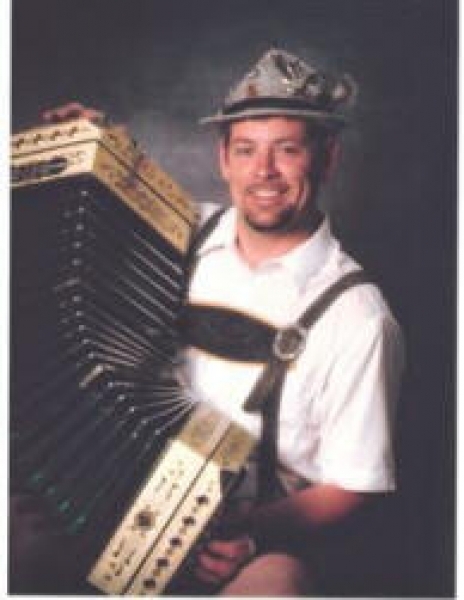 Johns' form of polka music is called 'Honky Style' and can be compared to a 'Dixieland' style of Polka Music. The trumpet is the main drive and lead instrument. The clarinet wanders above and below the melody line. Rhythm is held together by the string bass and drums playing a strict, solid beat. The concertina plays the melody line, some solos, and keeps the band together. John's "Honky Style" music is basic, simple, and from the heart. The listener must be able to 'feel the music.' Solid, yet loose, disciplined yet fluid, the music offers a lesson in how something as abstract as a 'feeling' can be released each time the band starts to play. The band also plays the best in variety music from the traditional two-step, fox-trot, rock & roll from the 50's & 60's, to old and new country. The band has recorded sixteen, one hour television shows called Polka Spotlight that can be viewed almost daily on local cable access throughout the entire seven county metro area and western Wisconsin. John and his band have recorded ten TV shows for Bandwagon on the CBS affiliate KEYC- TV in Mankato, MN. Bandwagon has been on the air every Saturday over 43 years. They have recorded three albums containing all original compositions, including Polish and English vocals. The first album released in 1990 was called Classic Honky Style Polkas. With the limited number of 'Honky Style' bands in America, the release of their second album in 1992 titled Encore, put them second to none in the polka music field. Back Again, released in 1999 with fourteen original melodies, again demonstrates their unique 'Minnesota Polish Style' honky music. 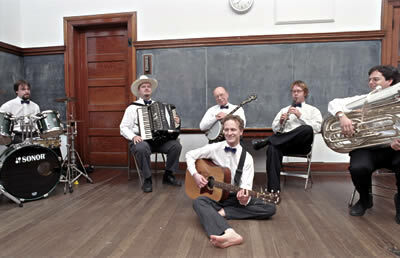 The original Polish and English compositions establish this band as an exceptional 'Honky Style' band. In 2004, they released their fourth CD Simply Honky featuring the ‘hits’ of yesteryear. 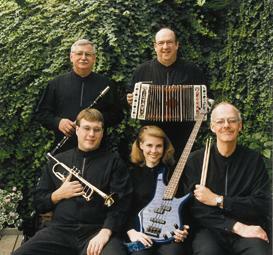 The Band has performed extensively throughout Wisconsin, Michigan, Illinois, Indiana, Ohio, New Jersey and Massachusetts. The Band has performed on four live radio broadcasts from the Minnesota State Fair on the 50,000 watt CBS affiliate-WCCO 830AM with Dave Lee and The Morning Show. The Band performed four days at the 2001 Minnesota State Fair on the Heritage Square Stage and on Sept. 1 & 2, 2002, Labor Day Weekend, at the Ramberg Center Stage. In November of 1997, they performed on two radio broadcasts of A Prairie Home Companion starring Garrison Keillor. A Prairie Home Companion show is currently carried on 425 U.S.Public radio stations and on the Armed Forces Network (Europe and Far East) America One via the Astra Satellite. A Prairie Home Companion can be heard on FM radio in dozens of European cities. John was inducted into the prestigious World Concertina Congress Hall of Fame on September 16, 2005. The induction ceremony was held at the Mystic Lake Casino in Shakopee, MN and attended by 450 guests.